We all lose hair every day. Not that we’re trying to be a bearer of bad news, but studies show that everyone loses about 100 strands of hair each day. 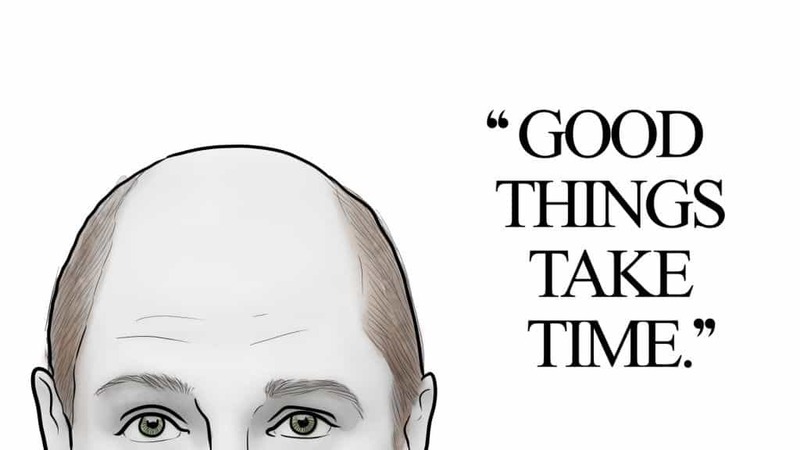 The key is that some of us don’t grow that hair back and we enter the vicious cycle of male pattern baldness. MPB has many causes – including genetics, stress, and aging – but it doesn’t mean we have to sit back and take it. Among popular hair loss treatments are hair growth supplements. 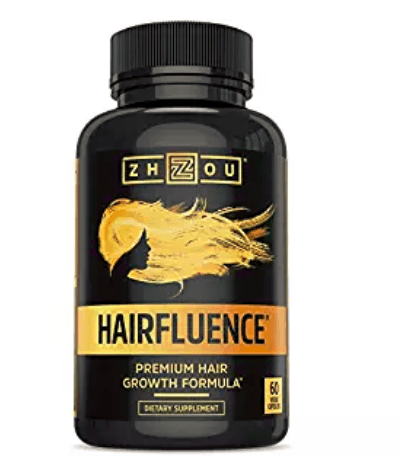 In this post, we’ll review the best hair growth vitamins, including our favorite, Hairfluence Hair Growth Formula , and also discuss hair supplement-buying tips, the most important vitamins for hair growth, and more. Questions abound regarding the effectiveness of hair growth vitamins and supplements, including the most important one: Do they work? The answer is yes, but leads to another question: “Can’t I get the same results with a regular multi-vitamin?” The answer to that is, perhaps, but supplements designed for hair (and nail) growth typically include the proper amount of vitamins and minerals found to be essential to healthy hair. We’ll touch on those vitamins a bit later. For now, just know that there are plenty of hair growth supplements, pills, and vitamins on the market. 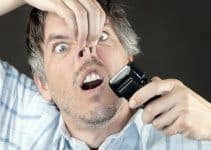 We’ll touch on the best ones in this article, but be wary of inferior products that do nothing more than overload you with certain vitamins and minerals without doing a thing for hair growth. Furthermore, dietary supplements aren’t tightly regulated in the U.S. by the Food and Drug Administration, so be wary when choosing the right product. We’ll discuss the five most important vitamins for hair growth later in the article, but key vitamins and minerals include vitamins A, B12, H, C, E, D, as well as minerals and proteins such as folic acid, niacin, iron, zinc, magnesium, calcium, omega-3 fatty acids, thiamin, riboflavin, and a few others. Vitamin H, better known as biotin, is an essential ingredient in hair growth supplements. It’s easy to say that all of us should check the label of everything we buy, it’s another thing actually to do it. But do your best to check the label of any beard growth supplement before you buy. For one, there may be an ingredient that you’re allergic to or otherwise not good for you. That said, try to avoid supplements that are non-natural or chemically-produced. Check for pure vitamins and minerals that come from organic sources. Plant-based supplements are good, too, because your cells absorb them more easily. So, you check the label, but it’s helpful to know what ingredients are good for you. We’ve already discussed important hair growth vitamins, but you should also look for extracts such as saw palmetto berry, bamboo stem and leaf, flaxseed oil, borage oil, kelp, and others. Not that these ingredients must be in every bottle you examine, but just know that they’re helpful to hair growth. Keratin, an essential protein found in hair, skin, and nails, is another ingredient – much like biotin – that aids the hair growth process. Some nutritional deficiencies are common, such as for iron, calcium, vitamin A, vitamin B12, magnesium, etc., and check with your doctor to find out if you may have one. Otherwise, he or she can provide you with helpful information about how certain supplements affect your health. Expensive doesn’t necessarily mean better for any product, including hair growth supplements. The important thing is to find a supplement that works and fits your budget. Check out the reviews of customers who tried a particular product. Note, some reviews should be regarded with skepticism, but you should be able to get a good idea of what products deliver results and are popular sellers. The folks at Hairfluence believe that many health issues stem from nutritional deficiencies. Like others, they feel that it’s difficult to ingest all of the nutrients a person needs on a daily basis. As a result, we deal with issues such as unhealthy hair and poor hair growth, and a host of others. But Hairfluence has your back, so to speak, when it comes to hair health, as their Hair Growth Formula delivers the supplements you need for healthy hair growth and to hinder hair loss. The side benefit to Hair Growth Formula is that you’ll get healthy skin and nails, too. In fact, you’ll probably notice those differences first but remain patient: healthy hair is on its way. Hairfluence’s Hair Growth Formula is scientifically-formulated and loaded with the type of ingredients you’d expect from this type of product – biotin, bamboo extract, collagen, MSM, keratin, vitamin C, folic acid, vitamin B12, vitamin A, vitamin D3, and thiamine. While it’s true that MSM (methylsulfonylmethane) has a somewhat daunting, chemical-like name, it naturally occurs in many foods and helps boost the body’s production of collagen, which is so vital to hair growth. Folic acid promotes the development of healthy DNA, which controls cell activity and healthy tissue growth. Vitamin D3 promotes the creation of new hair follicles and can wake up dormant hair follicles to produce thicker, more prominent hair. Biotin is, of course, a key ingredient, but works in conjunction with Hair Growth Formula’s other natural ingredients to boost its overall effectiveness. Hairfluence’s Hair Growth Formula has everything you need to promote hair growth. It’s also all-natural (even the capsules are vegan-friendly) and it gets to the root of the issue regarding nutritionally-deficient diets and their effect on hair growth. We’ll talk a lot about biotin in this post, and with good reason. Biotin is the ‘X’ Factor regarding healthy hair and found in the vast majority of best hair growth pills. It’s a water-soluble B vitamin that promotes not only healthy hair but also healthy hair and skin. It also helps convert your daily food intake into natural energy. Biotin, then, is good. Very good. And, as the name implies, it’s the powerful engine that drives Natrol’s Biotin Maximum Strength Tablets. In short, biotin may increase the size of hair follicles to help make your hair appear fuller and thicker. Natrol’s maximum strength tablets include 10,000mcg of biotin, the maximum dose found in hair growth vitamins. The recommended daily dosage of Natrol is 10mg, or the equivalent of one tablet. 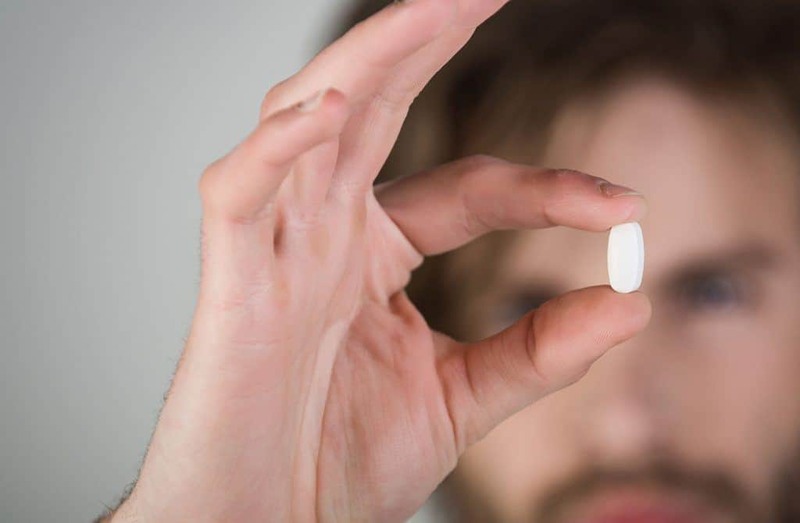 The recommended daily dose of biotin is 2mg, so Natrol makes sure you’re getting enough biotin (and a lack of it may cause thinning hair, brittle nails, etc.). The good news is that you can’t “overdose” on biotin because it passes naturally through your body. Then again, all B vitamins are necessary for your body to convert food into energy, but also necessary for a healthy nervous system. Biotin has the added plus of being healthy for your hair, skin, eyes, nails, and liver. One study even showed that pregnant women are biotin deficient and that taking a supplement may assist in healthy fetal development. Natrol also contains calcium, which is important for keeping teeth and bones strong, but also an important factor for growing healthy hair. Natrol’s maximum strength tablets provide you with a potent dose of biotin that helps promote hair growth while reducing hair loss. You’ll find it in many reviews of the best supplements for hair growth and they’re the best biotin pills for hair growth. 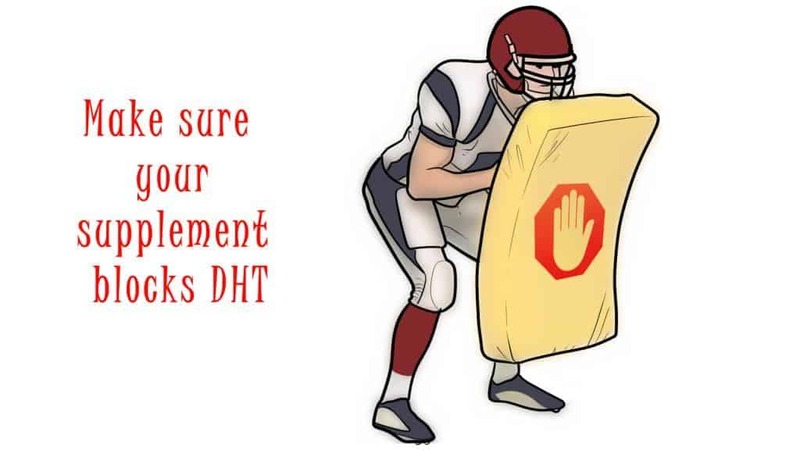 For men, DHT is like a villain that commits crimes without mercy. In this case, the crime is hair loss, and DHT is on the Most Wanted List. OK, that’s a bit of a strong analogy, because DHT (dihydrotestosterone) serves many essential functions, including the development of male characteristics such as a deep voice, hairy chests, and muscle mass. But DHT plays a key role in hair loss, as well. Men with male pattern baldness inherit hair follicles that have an over-sensitivity to DHT. And when testosterone converts to DHT, it shrinks hair follicles. Which bring us, in a roundabout way, to Ultrax Labs Hair Rush. It’s worthy of inclusion in your hair growth pills reviews because, for one, it contains keratin, which counters the effects of DHT by serving as a building block for hair. Ultrax Labs’ Hair Rush has an exclusive keratin complex, with essential nutrients that block DHT. Nettle leaf powder contains plenty of vitamins and nutrients, including vitamins A, C, D, K, and B, and also contains high amounts of amino acids and protein, which help strengthen hair. A bonus to nettle leaf powder is that it also fights dandruff. Pumpkin seed is rich in fatty acids that help hair retain moisture. That’s particularly important if you live in a colder climate that may dry your hair out, especially during winter. What is gotu kola powder, you ask? Well, it’s something that helps prevent hair loss although scientists aren’t 100% sure why. 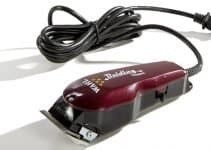 For one, it increases blood circulation to the scalp – which promotes hair growth. But gotu kola powder also is used to treat stress and anxiety, which both contribute to hair loss. While it sounds downright chemical, L Lysine Hydrochloride is an amino acid that helps fight hair loss. Collagen, one of the most important components of hair, needs L lysine to absorb calcium for its creation. When your body absorbs calcium, your body makes more collagen. Saw palmetto is another ingredient found in Ultrax Labs Hair Rush and, like keratin, works as a DHT inhibitor. The Ultrax Labs Hair Rush formula is chemical-free and safe for men and women. 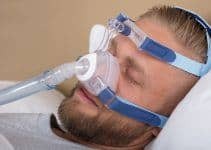 The manufacturer suggests that you use it for a minimum of 90 days for best results. Hair Rush is an effective, safe way to treat hair loss and addresses the root causes of hair loss. It causes no side effects while strengthening and nourishing hair from within follicles. Manetabolism packs a powerful punch with its vitamin-loaded formula – one that covers healthy hair, nails, skin, while even providing an energy boost. Vitamin A – which is an antioxidant and helps produce sebum that contributes to thicker, shinier hair. Vitamin B6 – which stimulates hair growth. A B6 deficiency is believed to be a cause of hair loss. Vitamin B12 – which nourishes the scalp while also boosting energy. Biotin – a B-complex vitamin, biotin has a wide variety of hair healthy benefits, including that it prevents hair loss, reduces itchy and dry scalps, while also prevent premature greying. Vitamin C – which helps build collagen, a protein that aids in hair growth. It’s also one of the most important vitamins for enhancing the immune system. Among Manetabolism’s other ingredients are zinc, which is essential for healthy hair and promotes faster hair growth, and folic acid – which is good for overall hair quality (and the overall longevity of hair quality). Folic acid also works by renewing the cells that grow hair. 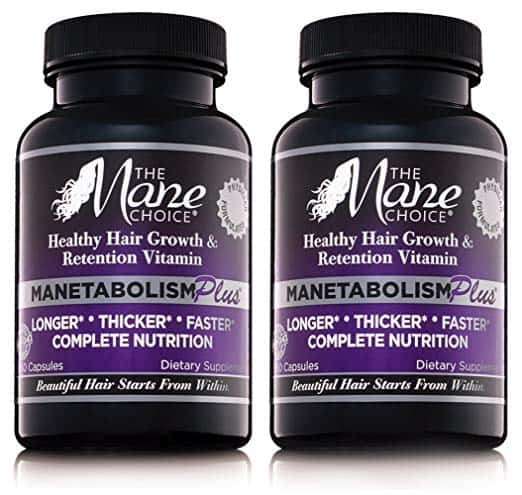 All told, Manatebolism’s Hair Growth Vitamins include 13 vitamins, all of which contribute to hair growth and strength by, among other things, stimulating blood flow to the scalp. Meanwhile, the many antioxidants present in the Manetabolism Plus hair formula help to improve the immune system and, hence, spark a natural energy boost. Manetabolism is an all-in-one product that’s effective for hair growth while boosting the immune system. It has everything you need for healthy hair, skin, nails, and more. The first thing to know, and that you’ll notice, about Vital Proteins Peptides is that they don’t come in pill form. Instead, they consist of powder and are added to your favorite beverages and food to give you the vitamin boost you need for healthy hair. So, whether you want to add them to your morning coffee, a cup of green tea, to your favorite fruit juice or smoothy, or even to oatmeal, soup, and your favorite desserts, it’s a handy way to get a dose of hair-strengthening protein. Collagen is the key ingredient in Vital Proteins’ peptides. We’ve already talked some about it, but collagen is the protein that the body relies on for the health of skin, hair, tendons, cartilage, bones, and joints. Collagen in supplement form is popular because it’s no longer abundant in foods. The collagen particles found in Vital Proteins Pasture-Raised Grass-Fed Peptides are small enough to absorb into the bloodstream quickly. For this reason, some users report positive results for hair growth faster than with other products. Each serving of Vital Proteins Peptides contains 20 grams of collagen and it’s 100% pure collagen protein. Sourced from grass-fed, pasture-raised bovine, it’s of the highest natural quality. Even better, it’s clean and tasteless, and gluten, dairy, hormone, and preservative free. It also contains natural glycine, which aids the immune and digestive systems. And it’s not just good for your hair as it promotes healthy, youthful skin and stronger nails (and good for men and women). Sprinkling these powdered peptides into your morning coffee – or other favorite beverage – can help you get the healthy hair you desire. You won’t taste it, but chances are good you’ll notice the results. There are a few other rules of the road to taking hair growth pills than simply reading the label. Of course, reading the label and sticking with the recommended dosage is crucial, but there are other considerations you need to consider to get the most from your supplement. 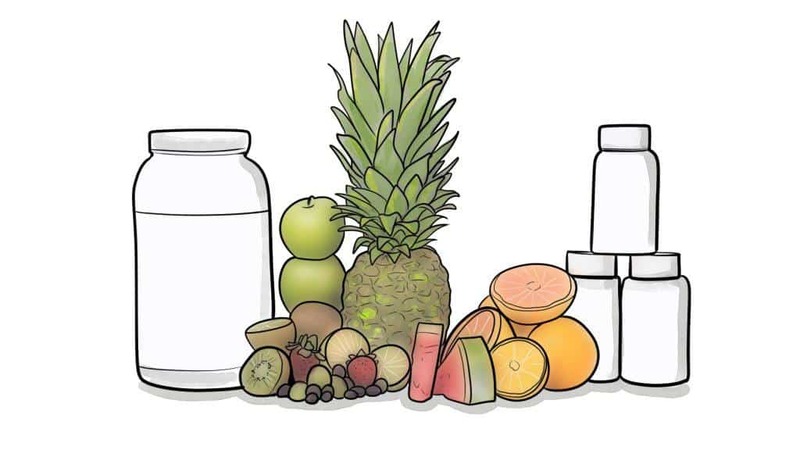 You can’t replace a bad diet with supplements. Maintaining a healthy diet is important in so many ways, including its impact on hair health. It’s no secret that bad diets may lead to serious health issues such as heart disease, diabetes, obesity, and so on. That said, your best bet is to focus on a combination approach, i.e., have a healthy, balanced diet and ask your doctor about any vitamins and supplements you need. 2. What can your supplement do for you? Some supplements may reduce hair loss without improving hair growth. 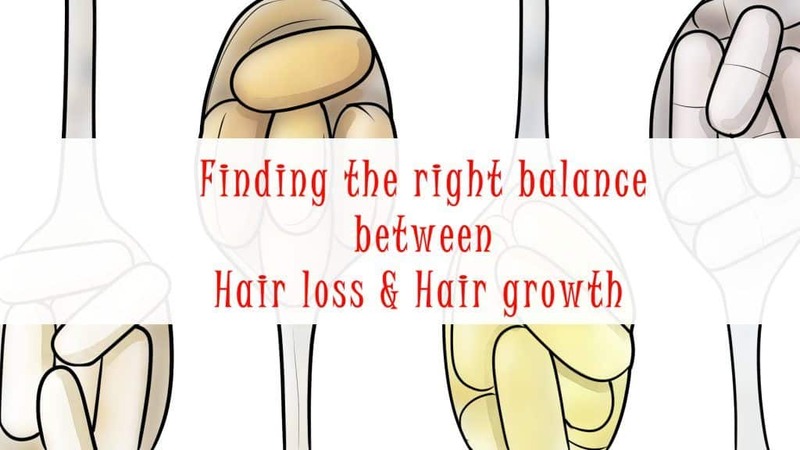 Your focus should be on finding a hair growth pill that does both – it needs to reduce the amount of hair that’s falling out while stimulating your hair follicles to improve hair growth. We’ve discussed the role of DHT and hair loss in this and other posts; it’s simply that important. Make sure that whatever supplement you choose contains DHT blockers. Vitamins are crucial to healthy hair but they need some help. That’s where nutrients like iron, zinc, and protein come in; to promote hair growth and get the good-looking locks you prefer, make sure you’re getting the right nutrients, too. A note about protein, however: too much of it may cause your hair to break. Protein hardens the hair to give it strength, but you don’t want to go overboard with it, either. Hair growth and reduced hair loss don’t happen overnight. You may need to take your supplement consistently (and at the recommended daily dosage) for three months before you notice real results. That’s not to say you might not see a difference sooner than that, but there’s no reason to panic if you don’t. Of course, buying products that have a money-back guarantee of some kind may take some of the “pressure” off wondering when or if the supplement will work. We’ve talked a lot about vitamins and minerals and their impact on hair growth. Now, let’s break it down a bit further and highlight the best vitamins for hair growth. Biotin, or vitamin B7, is a B-complex vitamin and essential to hair growth. But while scientists know that a biotin deficiency is one of the causes of hair loss, the actual relationship between biotin and hair growth is still a bit of a mystery. It is known that B-vitamins help create red blood cells, which play an important role in hair growth because they carry oxygen and nutrients to the scalp and hair follicles. 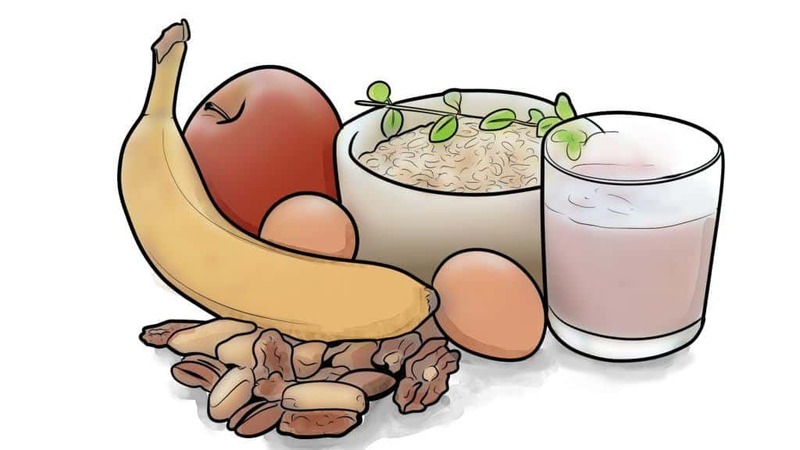 The good news is that biotin and other B-vitamins naturally occur in many foods, including whole grains, meat, seafood, bananas, almonds and dark, leafy greens. The bottom line is that all cells need vitamin A for growth, including hair. Vitamin A also helps skin glands produce sebum – an oily substance that moisturizes the scalp and keeps hair follicles healthy. It’s no surprise, then, that a vitamin A deficiency can lead to A) dry hair, and B) hair loss. Be careful with vitamin A, however, because taking excess amounts of it can have adverse effects, including hair loss. So, take the recommended amount and don’t think that more is better when it comes to vitamin A. Some foods that are high in vitamin A including carrots, sweet potatoes, spinach, and kale, while animal products such as milk, eggs, and yogurt are also rich in A-vitamins. One of the many positive benefits of vitamin C is that it acts as an antioxidant and staves off free radical damage. The latter is important because free radical stress affects hair follicle cells, and the subsequent damage (including hair loss) may begin to show as you age. Prematurely graying hair is another potential sign of free radical damage. Vitamin C is prevalent in a variety of foods, including citrus fruits, strawberries, bell peppers, and brussels sprouts. Like vitamin C, vitamin E is an antioxidant that fights free radicals to prevent free radical damage. Again, people who suffer from hair loss typically have fewer antioxidants present in the scalp and more evidence of oxidative damage, particularly in the skin. Good sources of vitamin E include spinach, almonds, sunflower seeds, and avocados. 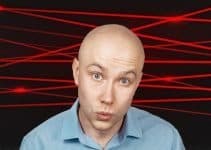 Alopecia, a scientific name for hair loss, is linked to – among other things – low levels of vitamin D. Moreover, vitamin D may create new hair follicles and is thought by some to play a role in hair production. Your body produces vitamin D through contact with the sun’s rays while other sources of it include fatty fish, cod liver oil, and some varieties of mushrooms. Many people don’t get enough vitamin D on a daily basis, however. While we’ve focused on vitamins, certain minerals are also important for hair growth, including iron, zinc, and iodine. 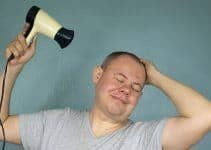 A lack of iron is the most common nutritional deficiency in the world and linked to hair loss in a variety of studies. If you’re not careful, searching for the best hair supplement products may take you into snake oil territory. That is, you have to be wary of products that make big claims but aren’t any more effective for hair growth than a good multi-vitamin. Our search for the best hair growth vitamins included deep label-reading. Did the product in question have ingredients essential to hair growth? Did it have natural ingredients or was it loaded with chemicals that may harm your body? The reviews of others are also important as was the supplement’s price. As always, we look for items that fit any man’s budget. That wraps up another product review, friends. Do you use, or have used, a hair growth supplement? If so, what are the results? Or, have you used one of the products listed in this review. We welcome your feedback and suggestions and would love to hear from you.